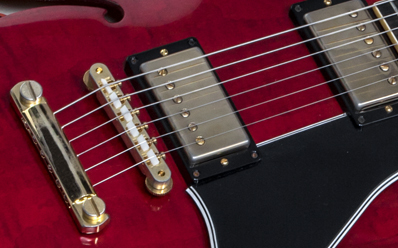 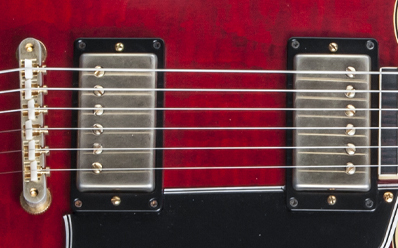 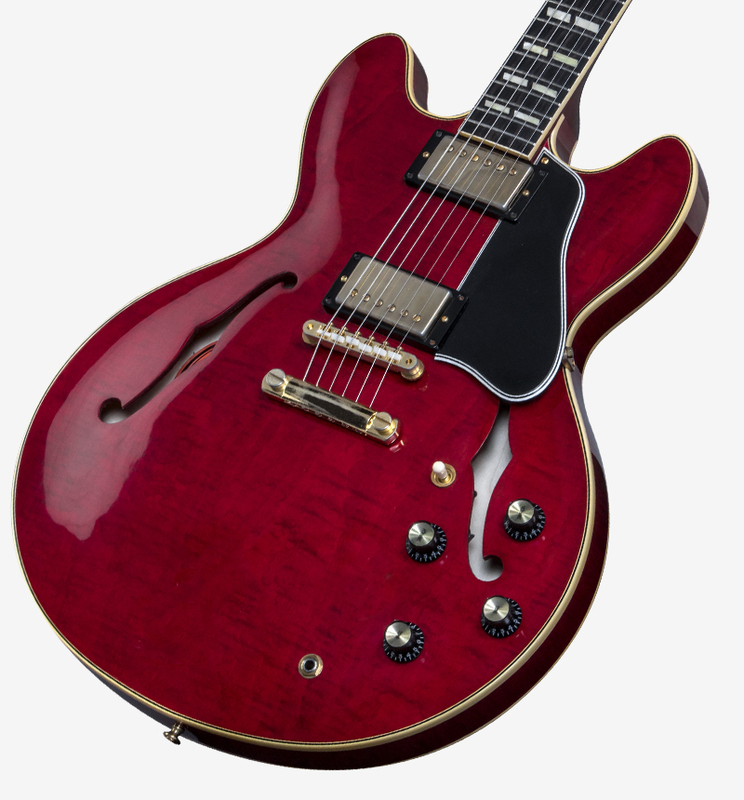 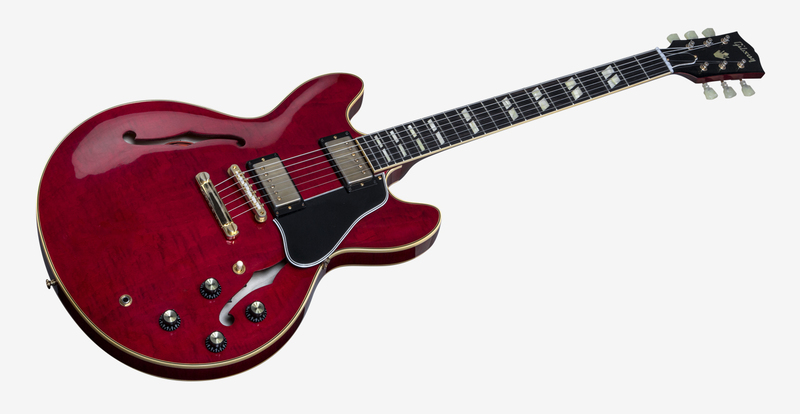 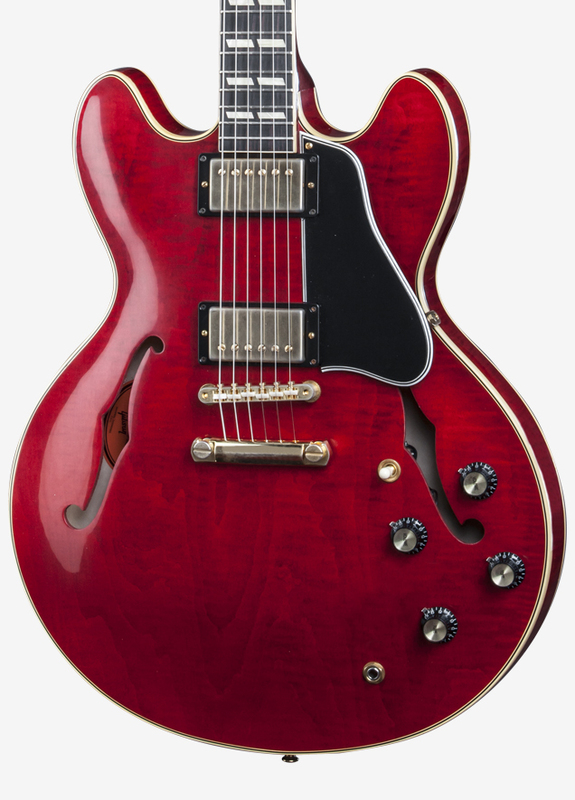 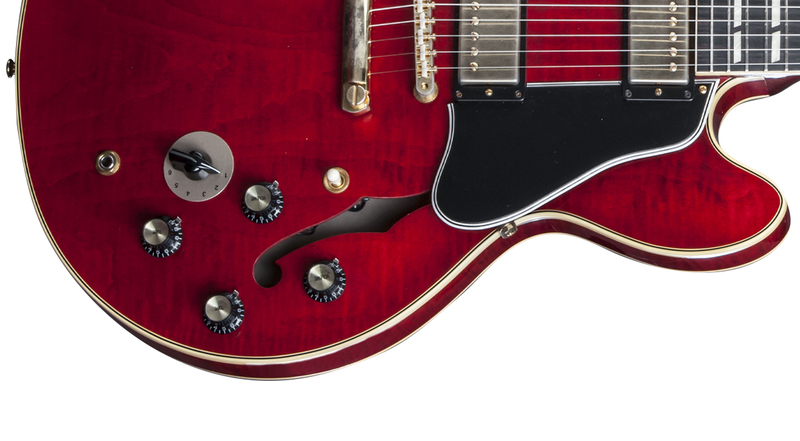 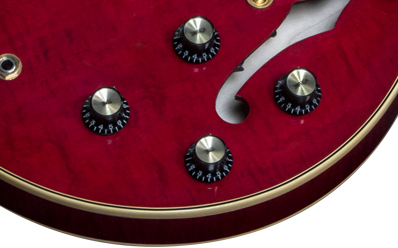 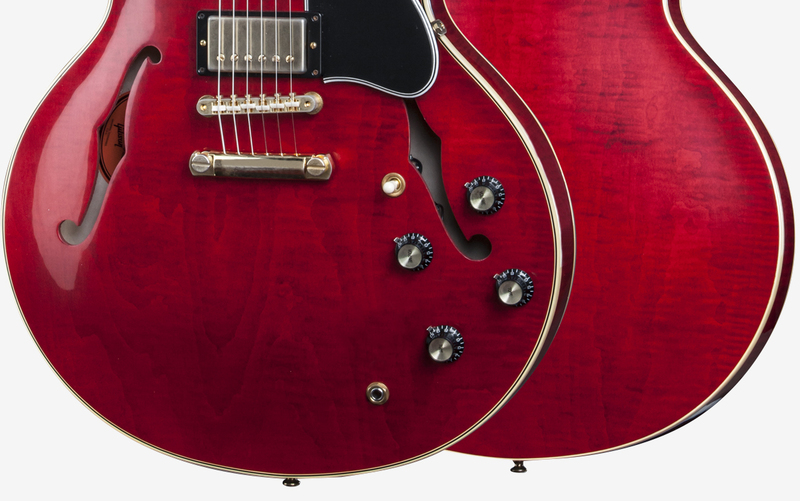 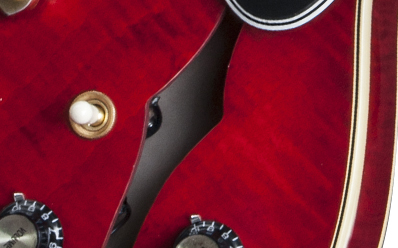 An interesting twist on a classic: the 1964 ES-345 in Sixties Cherry, Gold Hardware! 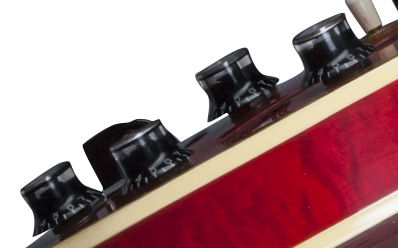 All the vintage style and tone of the traditional slim taper cutaway body with Quartered Adirondack Spruce braces Maple top, back & rims and period correct Tan-Black-Tan binding, Mahogany neck with Aged-Celluloid Split Parallelogram inlays in a Rosewood board with nylon nut, MHS Humbucker pickups wired into Vintage style "no logo" matched potentiometers, V.O.S. 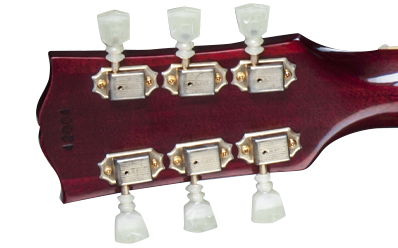 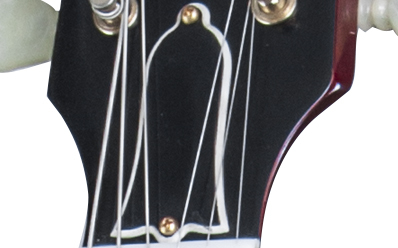 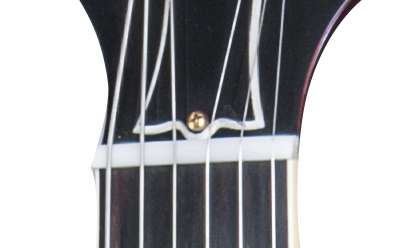 Gold hardware, Kluson Double Ring tuners, and nicely rolled neck binding for that comfortable vintage feel. 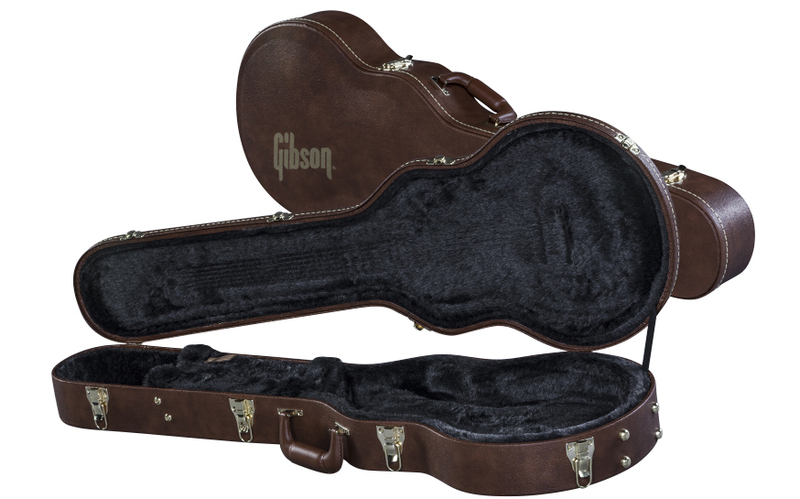 Best of all, owning one of these will put you in an exclusive club with only 49 other members in the world. 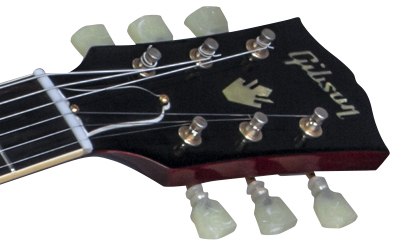 Gibson Memphis Limited Run of 50.